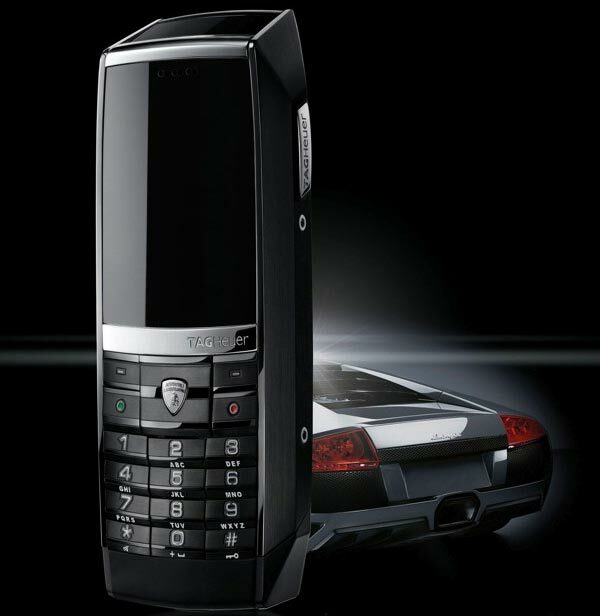 Tag Heuer has launched a new mobile phone, aimed at the people with more money than sense, the TAG Heuer Meridiist Lamborghini Mobile Phone. The TAG Heuer Meridiist Lamborghini Mobile Phone features a case made from a combination of hand brushed stainless steel, calfskin leather, and 60.5 carats of sapphire crystal glass on its dual display screens. It comes with a 2 megapixel camera, a battery that will give you up to 28 days standby time and up to 7 hours of talk time, video recording and playback, plus support for MP3 files, on top of that it comes with 2GB of storage and USB 1.0 support so you can connect it to your PC. There will only be 1963 of the TAG Heuer Meridiist Lamborghini Mobile Phone sold, unfortunately there is no word on pricing as yet but you just know it is going to be expensive.